Cher's first hit single was way back in 1965 with All I Really Want To Do. Her musical career as been a bit of a rollercoaster ride since then, but the Shoop Shoop Song (It's In His Kiss) gave the American singer her first British No.1. 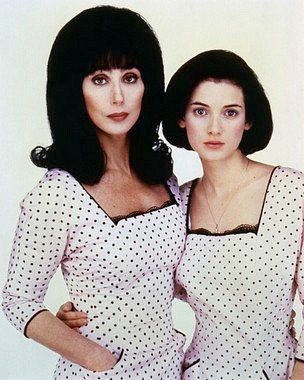 Ironically, the song comes from the same era as when it all began for Cher, and keeps the same 60s style sound. Lifted from the soundtrack to the movie Mermaids, the song was originally a hit in 1964 for Betty Everett, but it has also been covered by numerous artists since then. In the film itself, the song was played during the closing credits. 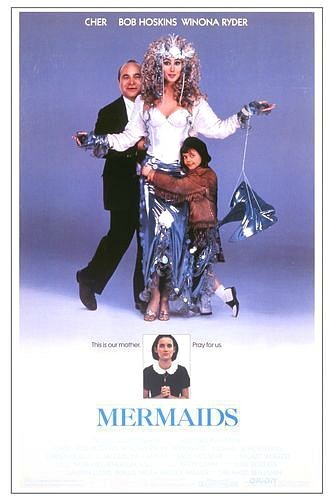 Mermaids was released in America in November 1999 at the same time as the single, and Cher had a major role as Charlotte Flax, alongside Bob Hoskins and Winona Ryder. In the UK the song was released later on 28th April 1991. The song was a worldwide hit, reaching No.1 in a handful of countries, and breaking into the top ten across Europe. Here in Great Britain, the 1990's was the most successful period for Cher, and she achieved success with seventeen Top 40 hits. In 1998, she scored another No.1 with the song Believe, which is, of course, best-remembered for the use of a vocoder on her voice, and has been copied to death ever since! The release of a new studio album is imminent, although, as I write, there are no details as to the name of the album. Watch the video for Dead Ringer For Love with Meatloaf.